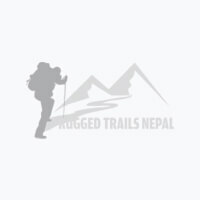 Rugged Trails Nepal unique trips lead you into the iconic Himalayas, where you will find yourself far away from the well-traveled Everest Region, Annapurna Region, Langtang Region, Manaslu Routes. Become one with the local people and the natural beauty of the land by immersing yourself in the true exquisiteness of Nepal. Rugged Trails Nepal ensure that no trips we run in identical, and your special journey will be completely unique. Experience the charm of Nepal that people have been inspired by and drawn to for decades. Namaste! !